JOHANNESBURG, South Africa, April 7, 2017 (ENS) – South Africa’s Constitutional Court has overturned the current ban on domestic trade in rhino horn. As a result, the sale of rhino horn will be allowed to resume within the country’s borders, but not internationally. The April 5 decision came on an application by Minister of Environmental Affairs Edna Molewa for leave to appeal an order of the High Court of South Africa, Gauteng Division in November 2015 that set aside the moratorium on domestic trade in rhino horn at the request of private breeders. Dr. Molewa sought leave to appeal the High Court’s order to the Supreme Court of Appeal, which in May 2016 dismissed the Minister’s application, giving no reasons for its decision. In June 2016, the minister applied to the Constitutional Court for leave to appeal the order. The Constitutional Court Wednesday dismissed Dr. Molewa’s application, clearing the way for immediate resumption of domestic trade in rhino horn. The moratorium was implemented under the National Environmental Management: Biodiversity Act, 2004, or NEMBA. It took effect on February 13, 2009. Two of South Africa’s largest private rhino breeders took the South African government to court in an effort to lift a moratorium on domestic trade in rhino horn. In 2012, Johan Kruger, a Limpopo game farmer and rhino breeder, sued the Department of Environmental Affairs and its minister, Dr. Molewa. He was joined in 2015 by a second rhino owner, John Hume, from the Malelane area south of Kruger National Park, who applied to the high court in Pretoria to join Kruger’s lawsuit. Wildlife Ranching South Africa and the Private Rhino Owners Association of South Africa supported their legal action. The private sector rhino breeders won on a technicality. Hume’s ranch, with more than 900 rhinos, is the largest of its kind in the world. He has been dehorning his rhinos for years and is said to have a stockpile worth US$240 million, based on black market prices. Molewa said Wednesday that the decision of the Constitutional Court does not relate to the international trade in rhino horn for commercial purposes. 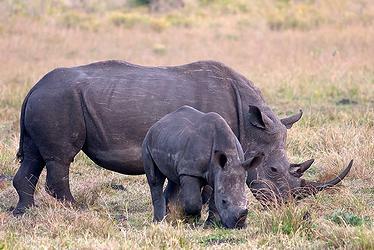 Commercial international trade in rhino horn is still prohibited under the Convention on International Trade in Endangered Species, CITES. Nor will South Africa’s domestic rhino horn trade be carried on without regulations. 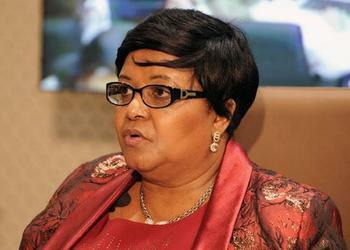 In February, Molewa introduced a set of draft regulations to control it. “Whilst we are studying the implications of the order handed down by the Constitutional Court, it should be noted that the court’s decision should not be construed to mean that the domestic trade in rhino horn may take place in an unregulated fashion,” said Molewa. The judgment does not mean that persons are allowed to trade without a permit issued by the relevant provincial conservation department, she said. This includes selling, donating, or in any way acquiring or disposing of rhino horn. In the absence of the moratorium, all domestic trade in rhino horn will be subjected to the issuance of permits under the National Environmental Management: Biodiversity Act, 2004, NEMBA, and applicable provincial laws. Under NEMBA, a permit is required to possess, transport and trade in rhino horns and any derivatives or products of rhino horn. Application forms applying for authorization of the regulated activities must be submitted in the province in which the applicant intends to carry out the restricted activity – selling, trade in, buying, giving, donating or accepting as gift, possession, conveying, movement or transport of rhino horn. South Africa is the country with the greatest number of rhinos in the world and a big poaching problem. Four rhino species are affected by the lifting of the moratorium, with classifications by the International Union for the Conservation of Nature’s Red List of Threatened Species. Southern white rhino, Ceratotherium simum simum – Near Threatened. There are now more white rhino on private land in South Africa than rhinos in the whole of the rest of Africa. South-western black rhino, Diceros bicornis bicornis – Critically Endangered. Population of Black Rhino has declined by an estimated 97.6% since 1960 with numbers bottoming out at 2,410 in 1995, as a result of poaching. Since then, numbers have been increasing at a continental level with numbers doubling to 4,880 by the end of 2010. Southern-central black rhino, Diceros bicornis minor – Critically Endangered. In some Asian countries, rhino horn is believed to have medicinal properties. Although it is just a keratin structure made up of the same material as human hair and fingernails, it is believed to cure: gout, fever, arthritis, headaches, stomach pain, anxiety, infant convulsions, inflammation and infection. Older myths claim that it is effective in treating hallucinations, snake bites and demonic possession. 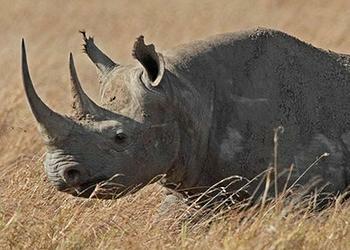 “Legalizing trade and export is likely to collapse international attempts to protect rhinos. If the trade regulations become law, the decline and possible extinction in the wild of rhinos will be in the interest of rhino breeders, who will then control the world market,” says Don Pinnock writing in February for the Conservation Action Trust. If the draft regulations on domestic trade become law, conservationists fear that South Africa will be an open market for trading and even exporting rhino horn. They see this as a slap in the face for the majority of countries that voted against the trade in horn at the CITES CoP17 meeting in Gauteng last year and a victory for the few wealthy, rhino farmers and potential traders who have been lobbying Molewa for years to lift the moratorium. The draft regulations seek to justify the trade through the fiction that it may only be traded for personal, rather than commercial, purposes, but leaves out what “personal” may mean. Conservationists point to the link between the sale of farmed wildlife and poaching. They say the sale of farmed rhino horn would stimulate Asian markets through the sale of limited goods, which would quickly lead to illegal procurement through poaching.